The year that I got introduced to the world of blogging, virtual warm friends, encouraging readers, typing recipes, food photography, the real interest to try out new foods and so on…. Like any blogger I’d felt an extra attraction to a few of my readers who had gone an extra mile, trying out the recipes and informing me.I truly appreciate Nanditha, (a blogger with rich values and principles) who had tried more than half a dozen recipes, followed by her prompt feed backs, with all those casual explanations, no matter whether her trials were successful or not!.. Thankfully Nupur’s brilliant and thoughtful event of The best of 2007 had made many of us go back, scan our older pages and come out with fresh self-evaluations.Thank you for considering my late entry, Nupur..
One of my earliest readers’ hits.The comments would suggest the same.Many had tried this recipe and got back to me. One of the readers’ as well as the net searchers’ spot!.Surprisingly they receive at least 30 hits each day!.. A simple Tamil preserve which gets at least 20 hits from the net-searchers, world wide!.. 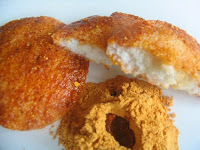 I enjoyed clearing queries when a few had ventured to carry on with this ever-hot desi snack! A dish which I enjoyed making,every moment of it, as a part of the Arusuvai Friendship Chain..well received by the bloggers too.. Gained popularity and urged many to try.The hit was bcoz it contains no coconut.Simple and hazzle free too..
One of my hot favourites, again the approval among the non vegtrn malayalees was due to the no-coconut and grind free gravy part.Truly authentic as well. The Recipes I tried from other blogs. They very first was the oil free ground nut snack which always gets finished off in a jiffy. The Mexican wedding cookies, The melting moments and the No-Knead Bread encouraged the 'baker' in me. 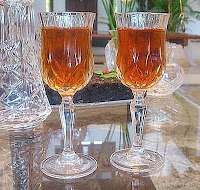 I am planning to experiment more with new cuisines, post recipes with better pictures, participate in more events and visit blogger pals’ place with words of encouragement, without fail, as always!. You have so many delicious foods here- I think my favorites are the raw banana chips and the idli milaga podi! 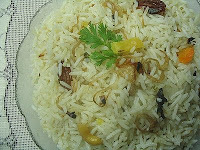 Lovely collection of recipes there Bharathy...happy new year to you and your family. 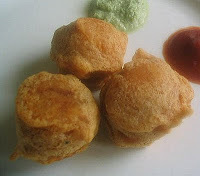 Great post Bharathy..:) love the collection of recipes! 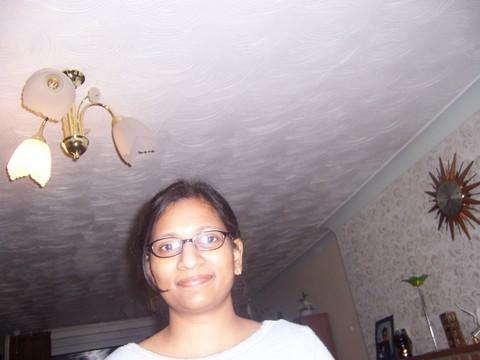 lovely ode to the year :) have a wonderful 2008 sis! Nice post Bharathy.Happy new year to you and your family. 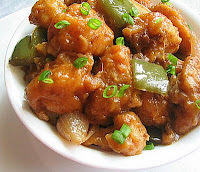 All my favs are in there bharathy, and my must try one " Gobi manchurian" is there staring at me for so long, I guess i should make that now!!! Thnk you Linda..Somehow I too like that simple shot! :)..warm wishes to you too..
You too sis...this is going to be your year!! The holidays are almost getting over,back to routine, every where..no matter whether US, UK or India.. Wonderful top10 recipes:))i loved very much traditionally banana chips very much..idly podi,gobi manchurian....almost all...Thanks. 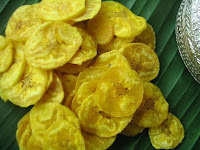 Loved ur banana chips post .. its sure among ur top ten posts.. I love ur simple yet wonderful carrot rice too. My husband hates carrots but loves ur carrot rice. U have a wonderful blog and I sure admire it. 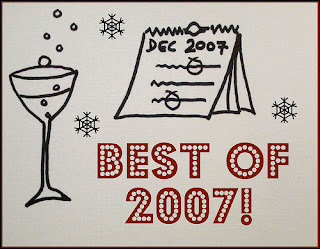 looking forward to wonderful recipes in 2008 too. Wish you a happy and healthy 2008! forgot to tell u.. i keep making ur mulaga podi and it keeps getting finished..some magic in it!! happy new year. I love your raw banana chips and paruppu chutney! 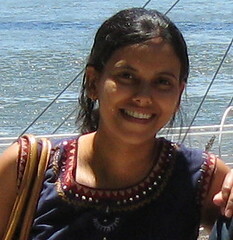 we wish you and your blog a wonderful 2008, dear bharathy. I just saw the raw banana chips. I absolutely love it. .n would want to try it once at home. Will book mark that recipe. comments vayichu kazhijappol manasillayoo, njan matramalla, veere kuree perundu ... who try your recipes! Happy New Year to you, too. 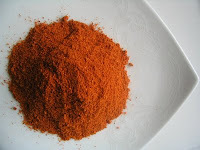 I see your lovely sambar powder (u gave me for my event) among your favorites, that is really nice. 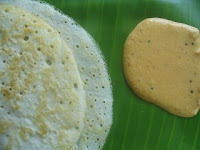 Nice to hear that Prema.Your version of rava dosa is also a hit with my husband :)! Glaaad to hear that Shaheen :).It gets finished becoz you had taken all the magical efforts to make it perfect!..right?? 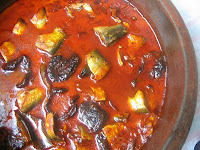 Thank you Zlam..Love your blog too!Spicy and hot! 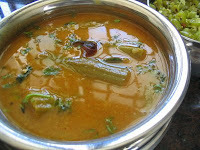 The sambhar looks so delicious. I am going to try them when i have drumsticks. Happy Newyear to you and family. Nice self-roundup. I wish to try some of them this year. A Simple Kerala Lunch with Fish Fry.